Do Hedge Funds Love Science Applications International Corp (SAIC)? 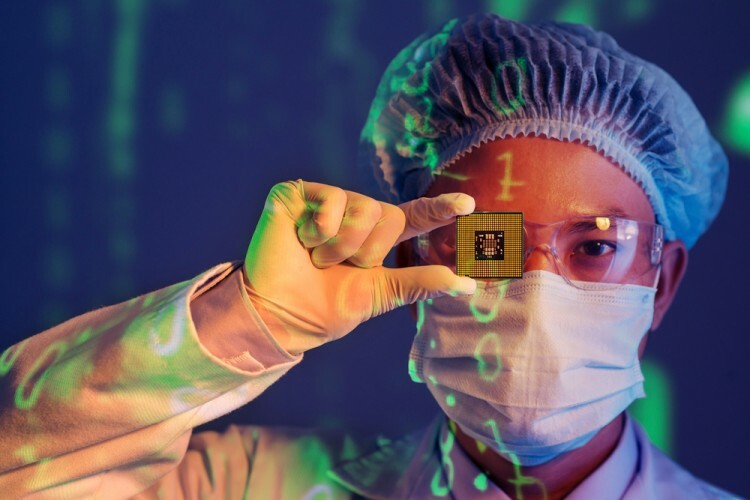 Is Science Applications International Corp (NYSE:SAIC) undervalued? Prominent investors are getting less bullish. The number of long hedge fund investments were cut by 1 recently. SAIC was in 15 hedge funds’ portfolios at the end of September. 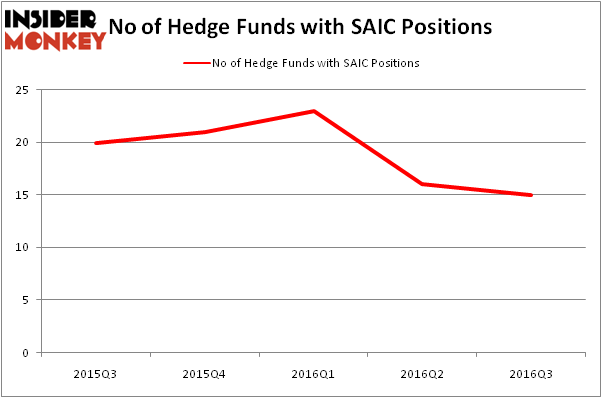 There were 16 hedge funds in our database with SAIC holdings at the end of the previous quarter. At the end of this article we will also compare SAIC to other stocks including United Bankshares, Inc. (NASDAQ:UBSI), Sunstone Hotel Investors Inc (NYSE:SHO), and Methanex Corporation (USA) (NASDAQ:MEOH) to get a better sense of its popularity. Heading into the fourth quarter of 2016, a total of 15 of the hedge funds tracked by Insider Monkey were long this stock, a drop of 6% from the second quarter of 2016. Below, you can check out the change in hedge fund sentiment towards SAIC over the last 5 quarters. So, let’s check out which hedge funds were among the top holders of the stock and which hedge funds were making big moves. According to publicly available hedge fund and institutional investor holdings data compiled by Insider Monkey, Joe Huber’s Huber Capital Management has the biggest position in Science Applications International Corp (NYSE:SAIC), worth close to $41.4 million, amounting to 1.6% of its total 13F portfolio. On Huber Capital Management’s heels is AQR Capital Management, led by Cliff Asness, holding a $15.6 million position. Other hedge funds and institutional investors with similar optimism consist of John D. Gillespie’s Prospector Partners, Robert B. Gillam’s McKinley Capital Management and Ken Griffin’s Citadel Investment Group. We should note that none of these hedge funds are among our list of the 100 best performing hedge funds which is based on the performance of their 13F long positions in non-microcap stocks.